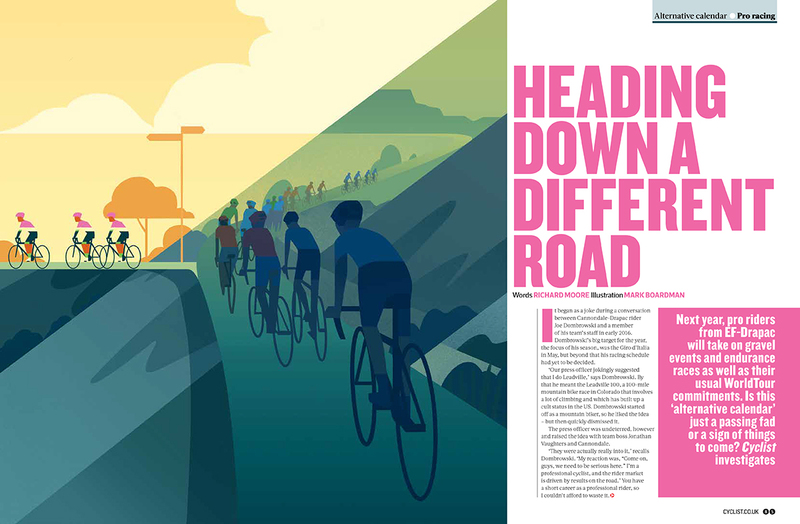 Mark Boardman worked with the team at Dennis Publishing to create this wonderful spread for Cyclist Magazine. 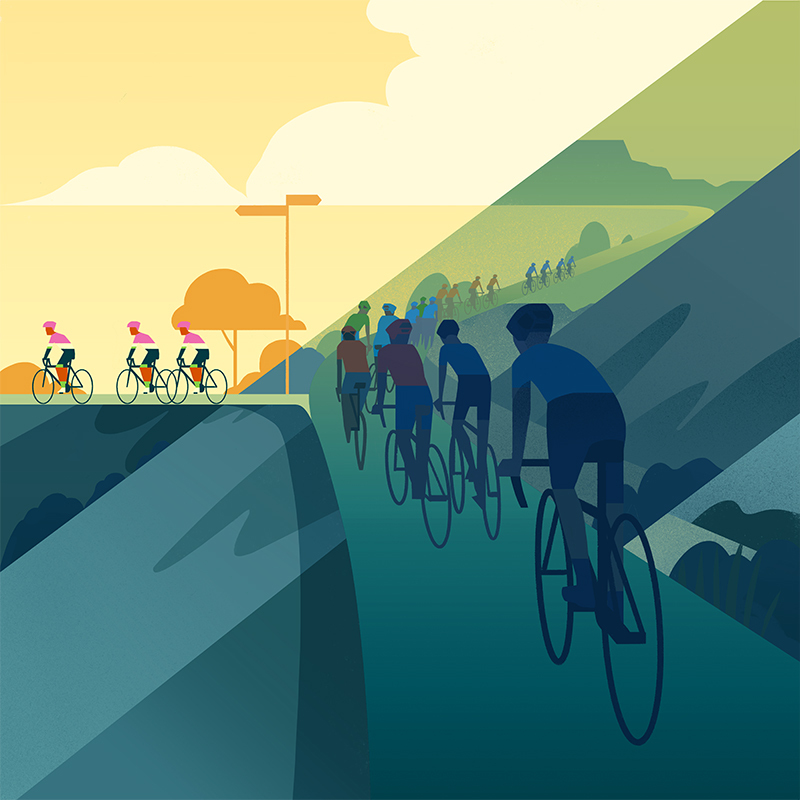 Mark created this clever concept using simple graphic shapes and rich textures, which conveyed the article’s theme of trying something new perfectly. To see more of Mark’s work, click here. Mark Boardman is represented by Meiklejohn. Published on 24 January 2019.